The location of this property is perfect. 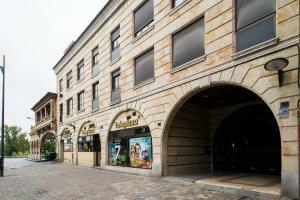 It is a short walk to the centre and plaza mayor. So much to see and do from this property. Lots of choice in regards to restaurants and cafe/ bars. 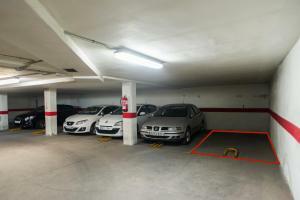 Parking is very easy as well, but, not included in the price of the flat rent. Great location, friendly host, spacious enough and clean throughout. 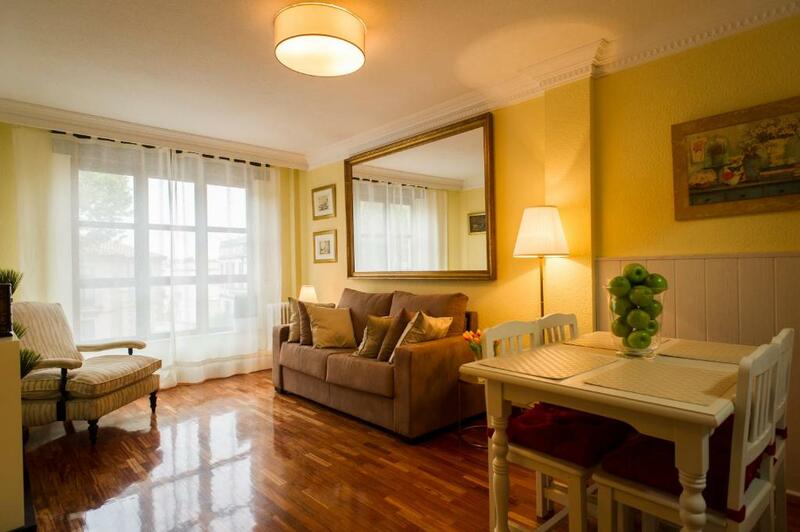 A comfortable, roomy and well equipped flat, reasonably close to the centre of the town and with an oblique view of the river. Good kitchen, plenty of storage and the place has a nice feel to it. Ceiling fans in the main rooms. Salamanca is a lovely town with lots to see and do. If you want a change from Roman ruins and cathedrals, the motor museum is excellent. Bed was memory very comfortable. All necessary implements were provided. Great apartment in a great location. Parking on site was a blessing. Owner very friendly and helpful. Location was good - about a 10 min. walk to all sights. Was able to get free parking across the river, which was about a 10 min. walk. El trato de Alex es muy cercano y nos facilitó la entrega de llaves. El alojamiento está estupendo y muy cerquita de la catedral y del puente de acceso a Salamanca. Por la noche aprovechamos para dar un paseo por el río y disfrutar de las espectaculares vistas con la catedral iluminada. Lock in a great price for Rent Apartments Salamanca Reyes de España 34 – rated 8.6 by recent guests! Rent Apartments Salamanca Reyes de España 34 in Salamanca provides accommodations with free WiFi, a 14-minute walk from University of Salamanca, 0.8 miles from Plaza Mayor Salamanca and a 3-minute walk from Museo Historia de la Automoción. 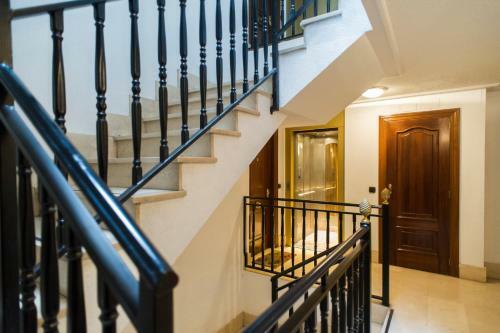 The property is 0.7 miles from Art Deco & Art Nouveau Museum and private parking is provided. 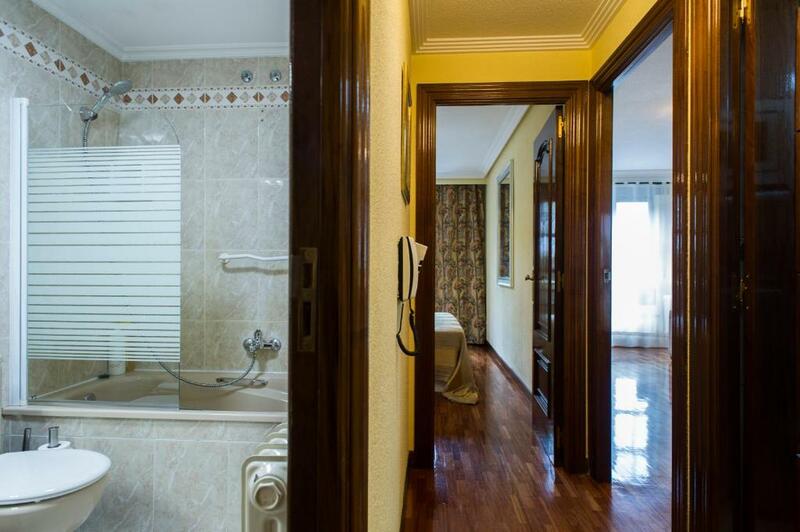 The 1-bedroom apartment comes with a kitchen with an oven and microwave, and a bathroom with a bath and a bidet. A TV is available. Pontificial University of Salamanca is a 17-minute walk from the apartment, while Roman bridge Salamanca is 1,800 feet away. 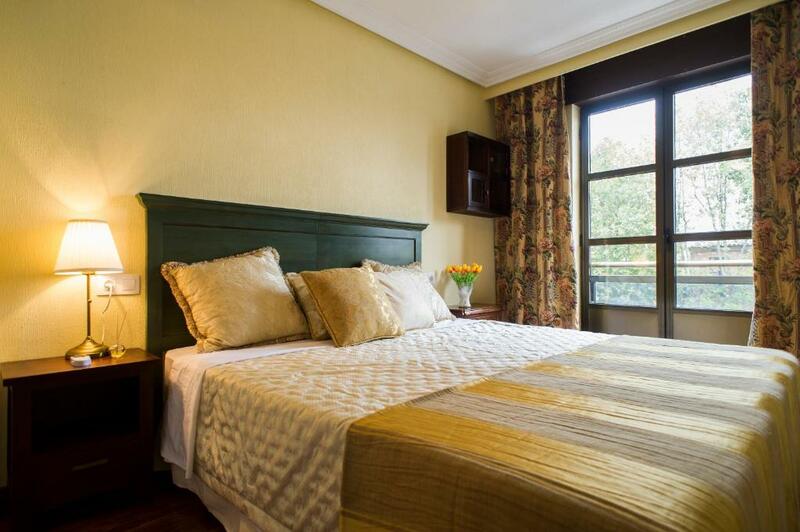 When would you like to stay at Rent Apartments Salamanca Reyes de España 34? This apartment features a bedroom, dining area and living room with flat-screen TV, an electric fireplace and sofa bed. The fully-equipped kitchen includes a microwave, oven, coffee machine, toaster and a washing machine. The bathroom includes a bath and a shower and comes with hairdryer, towels and free toiletries. Cots are available under request. 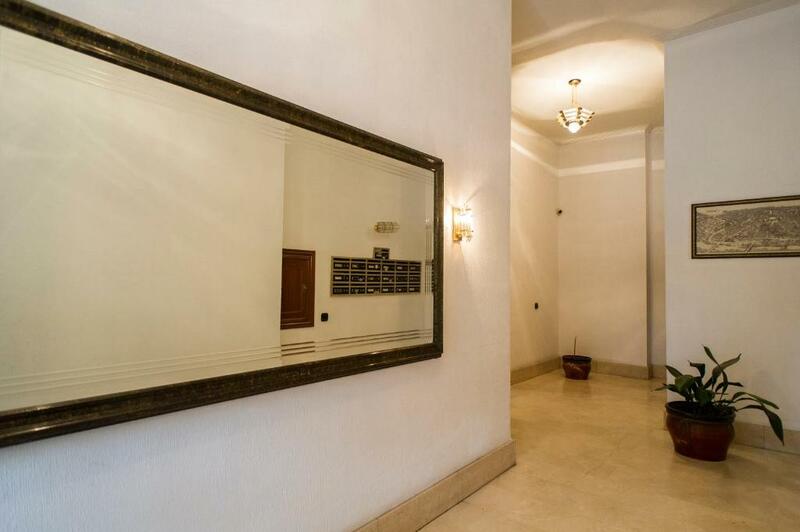 Se trata del apartamento propio que ofrezco para las estancias cortas a los visitantes de la cuidad. A 10 minutos de la Catedral, en plena zona monumental, donde se respira arte y cultura; al lado de la Universidad, los Dominicos, Casa Lis, Convento de las Dueñas etc. Junto al Rio Tormes, zona verde con inmejorable ecología. House Rules Rent Apartments Salamanca Reyes de España 34 takes special requests – add in the next step! 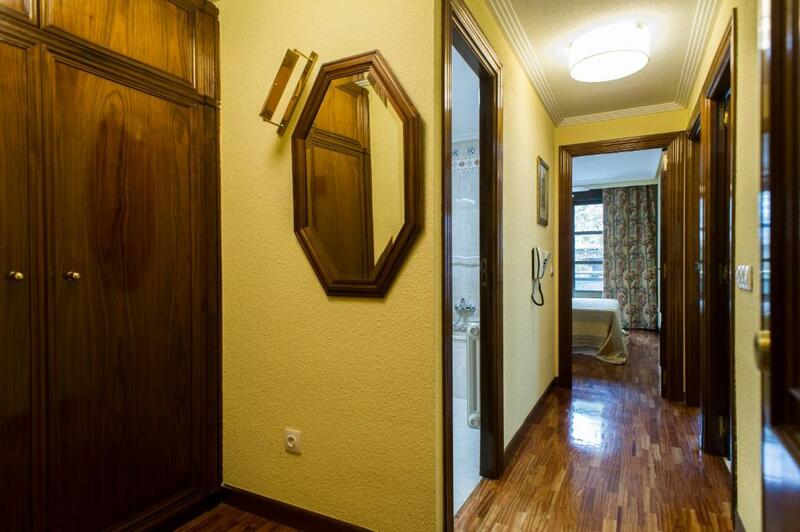 Please inform Rent Apartments Salamanca Reyes de España 34 of your expected arrival time in advance. You can use the Special Requests box when booking, or contact the property directly using the contact details in your confirmation. Passing cars could be heard through the night, this disturbed our sleep as we are not used to these noises. This was OK for one nigh, but after a few nights, it might get a bit more annoying. Some things in the flat are a bit tired, kitchen and shower head holder broken etc. Small things that do not effect your stay, but make a difference. Minute underground parking and extremeely narrow access for any family car which led to heavily scratching my car (Ford S-Max) and distressing maneuvers to get it back out from underground. Central heating is not room-controlled but externally-controlled by the building community so no heating overnight. This minute underground parking is even used for two spots what is unacceptable, to my understanding - the alternative parking outside is the reasonable option. Also, strong artificial airfreshner smell that endured for all the stay. The underground parking for the apartment is a bit of a challenge if you have a long car. The road outside the flat is quite busy with attendant traffic noise, although it was reasonably quiet during the night. Some minor maintenance required such as shower head. Comfortable bed, clean, coffee machine, location. Ran out of hot water at night and there was none in morning. Hairdryer was English plug and none of the 3 adaptors Mede it fit the Spanish socket. The apartment was right above a pizza parlor where the oven is situated. The apartment was very warm, hot even. Luckily we were there when the weather was cool. But still had to open the windows. The apartment was facing a fairly busy street, so you hear cars going by. The apartment also had a strange smell. Maybe it was the cleaning solutions. Also found that the garbage can under the sink really stank. Probably had something that rotted in there before. They should air the can out or throw it away. Everything was just perfect. Great location. Great city. The place is perfect. Very comfortable and neat. Better than I thought. I´m sorry we only stayed for one night.